Lord Palmerston, that audacious aristocrat, once howled in the House of Commons: ‘We have no eternal allies, and we have no perpetual enemies. Our interests are eternal and perpetual, and those interests it is our duty to follow’. When Palmerston uttered these words on the first of March 1848 he was consciously continuing the old geopolicy of Britain – as set out by Pitt the Elder and George Canning – and he was confident that future statesman would also make decisions upon this simple dictum. Most indeed did so, from Disraeli and Salisbury in the nineteenth century to Grey and Churchill in the twentieth; yet they were all careful, like Palmerston himself, to not confuse self-interest for self-isolation. Britain therefore fought the First World War to protect Belgian neutrality just as it fought the Second World War to protect Polish integrity. British statesmen strove to maintain the geopolitical equilibrium even as they were intent upon maintaining British imperialism. The island had to enforce the balance of power on the Continent even as it promoted its own interests on the Oceans. This curious dualism of British foreign policy – the inner contradiction between the moral and the material – came to head in the Second World War when Churchill was prepared for Britain’s subordination to America so long as Nazi Germany was defeated. The Second World War was Britain’s moral victory, but geopolitical defeat: the island lost its supremacy to its own ally. A statesman must be more aware of his nation’s weakness, so as to mutate weakness into strength. Churchill recognised that the future of geopolitics was not that of undiluted imperial states, but hegemonic orbits. He thought it only natural that Britain be within the hegemonic orbit of America. 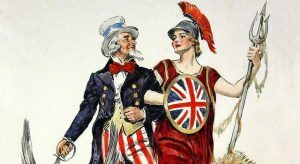 Britain therefore became America’s closest ally. 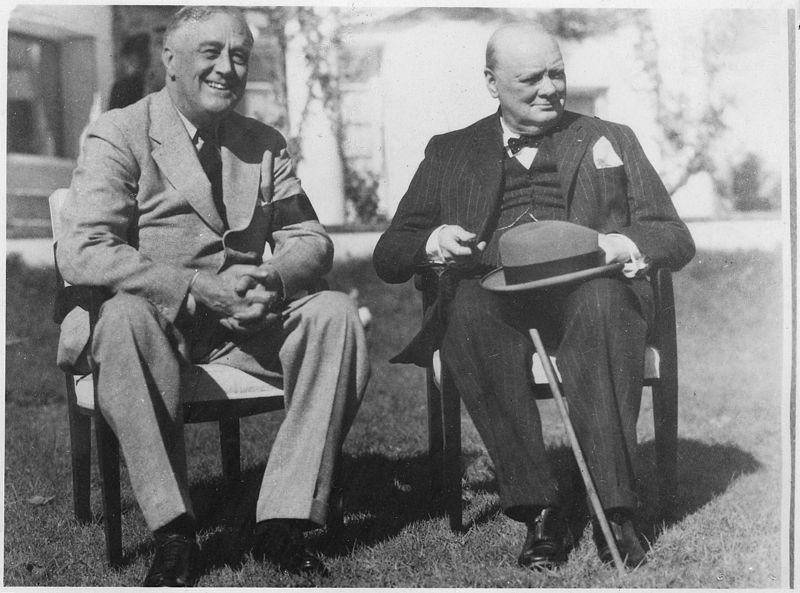 Churchill trusted Americans because they alone, he believed, would continue the legacy of ‘the English-Speaking Peoples’. After all, the very idea of ‘the English-Speaking Peoples’ – and therewith a cohesive Anglosphere – was first fully conceptualised by Theodore Roosevelt. Churchill the politician was guided by Churchill the historian. He knew that even so cold a geopolitical tactician as Lord Salisbury had already concluded near the end of the nineteenth century that America would succeed Britain as world’s foremost Power. He knew, too, that Arthur Balfour had even dared to draft a memorandum about ‘The Possibility of the Anglo-Saxon Federation’. So Churchill christened ‘the Special Relationship’ with a hope that it would be one of the three elements of Britain’s post-war foreign policy; that along with the Commonwealth and Europe, the Special Relationship would keep the island relevant in world affairs. There was seldom any doubt in Churchill’s own mind as to which element of his triad weighted more. He found Charles de Gaulle petulant throughout the war, and he told him with cruel candour: ‘How do you expect us, the British, to adopt a position separate from that of the United States? We are going to liberate Europe, but it is because the Americans are with us to do so. For get this quite clear, every time we have to decide between Europe and the Open Sea, it is always the Open Sea we shall choose. Every time I have to decide between you and Roosevelt, I shall always choose Roosevelt’. His successors have since had to navigate between this Churchillian triad. And they all, with the possible exception of the mediocre Edward Heath, agreed with Churchill. Even Harold Macmillan who so desperately – and it turned out needlessly – wished Britain to be at the centre of Europe was fond of saying that Britain would be Greece to America’s Rome. Under the premiership of Mrs Thatcher the Special Relationship was valued not only more than Europe, but even more the Commonwealth. As the eminent British diplomat Sir Percy Cradock put it: ‘Solidarity with the United States as a cardinal principle of foreign policy acquired a special sanctity under Margaret Thatcher’. Donald Trump’s victory little over six months ago had stupefied almost every nation, not least the nation over which he currently presides. America’s allies have since been worried about his rhetoric of isolationism. There is, however, one exception: the United Kingdom. The Special Relationship is now seems stronger than ever. President Trump is almost instinctively drawn towards the British Isles; some of it may be attributable to his ancestry, some to his support for Brexit, and some of course to national interest. Sometimes it looks as if Theresa May is the only leader to whom he defers. It is even said that he has privately dubbed her as ‘my Maggie’. This is surprising indeed, for these two leaders are temperamentally as different as two people can possibly be: one being a vicar’s diligent daughter, and the other an epicurean showman; for one the politics is something ‘serious’ and demands sincerity whereas for the other the politics is little more than a recreation. In spite of this surprising rapport, Mrs May must not allow personal relations alone to guide the Special Relationship. Though it is indeed in British national interest to be the main member of the hegemonic orbit, Britain must continue to pursue its own interests by influencing America instead of unconditionally agreeing with it. 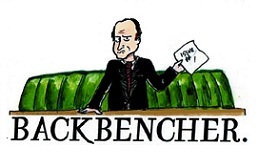 The Prime Minister should therefore follow the Churchill-Thatcher strategy as opposed to the Blairite strategy. Churchill was able to influence F.D.R. to such an extent that the President often overruled his own Generals. Thatcher had similarly convinced Reagan to meet Gorbachev when his own advisors were wary of such prospects. Both Churchill and Thatcher played a long-term ‘mutual interest’ game that led to diplomatic institutionalisation between America and Britain. This strategy was better than the one pursued by Macmillan whose avuncularity towards Kennedy was purely personal; and after him, relations between the two allies wavered a little. Tony Blair did something even worse: his personal rapport with George Bush became another exercise in public relations for him. He confused Öffentlichkeitsarbeit (public relations) for Machtpolitik (power politics). He followed the hegemonic power more than he led; his rapport with Bush did little to genuinely influence any important American geopolicy. June last year Britain chose – if Churchill’s terminology is permitted – the Open Sea to the Continent. The island reverted to its real-self: an independent parliamentary democracy pursuing its own national interests on the international stage. It is now possible to reinvigorate the Churchillian triad. Mrs May rightly repeats that Britain’s extraction from the European Union does not mean Britain’s removal from Europe. Churchill himself had wished that Britain’s link with Europe would be one of ‘association, not absorption’. The referendum last year was not about Europe, but Eurocracy. Let the island and the Continent be linked by trade, but not constitutional structure. Let the island also to revert to old friends of its own Commonwealth. The future of the world belongs not the sclerotic European Union, but the surging Asia and Africa. With regard to the Special Relationship, Mrs May would be well advised to follow Churchill-Thatcher strategy. The Special Relationship transcends any single administration. 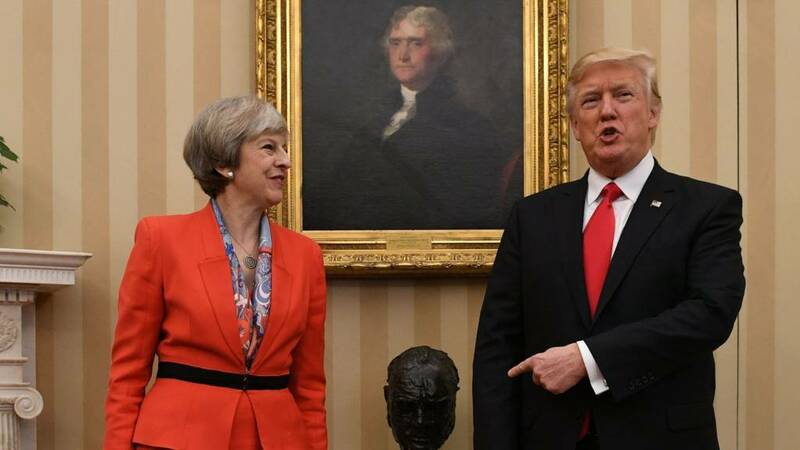 I astonish myself by recognising that that upon the subject of the Special Relationship at least, Trump sparks within me that which is least expected of him: hope.